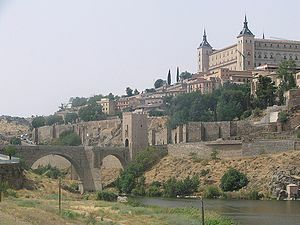 Visit the historical city of Toledo Spain during Holy Week or on Easter. The charming UNESCO World Heritage City of Toledo Spain is the repository of more than 2000 years of history and architectural styles. 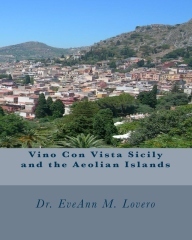 Toletum was the capital of Roman Carpetania. 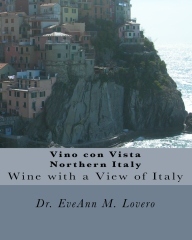 It is an outstanding Vino con Vista destination, especially during Easter ceremonies. 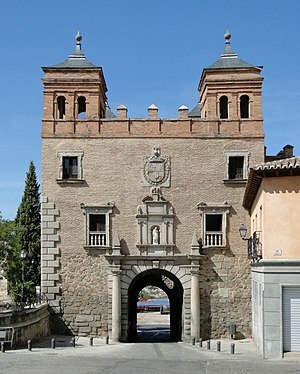 Toledo was declared a World Heritage Site in 1986. Corpus Christi Week is the most important holiday in Toledo when the ground is covered with rosemary and thyme. 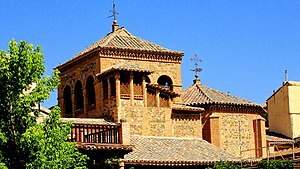 The Mudejar architectural style of the Middle Ages, arose from the multi-cultural interplay of forces among the three major religious groups who lived there: Judaism, Christianity and Islam. 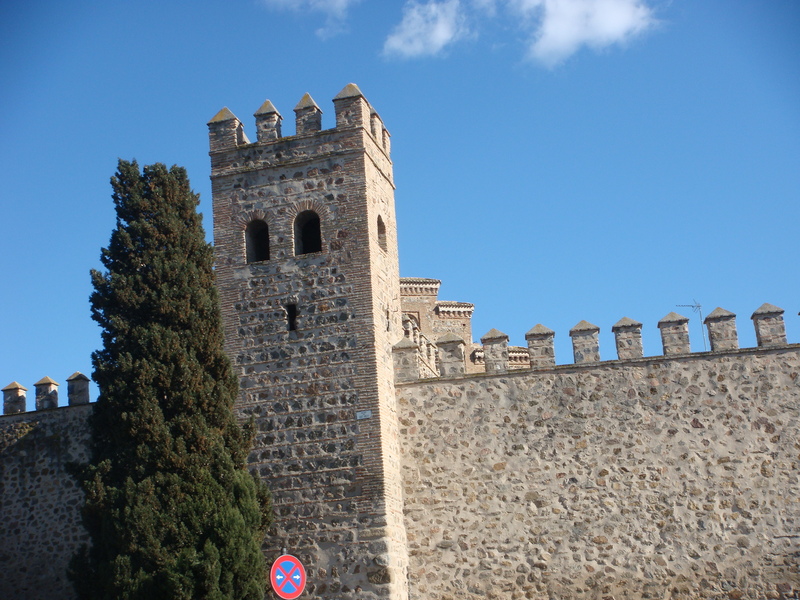 Toledo has a broad spectrum of structures from the medieval period including walls and fortified buildings like San Servando Castle. 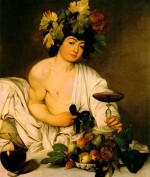 The former capital of Spain is about 42 miles southwest of Spain‘s newer capital city of Madrid. 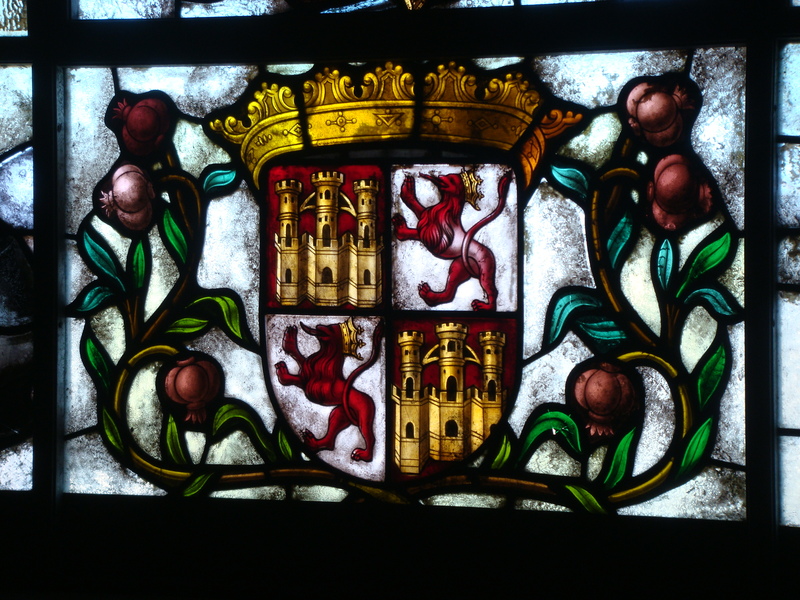 Felipe II transferred the Royal Court to Madrid in 1561. 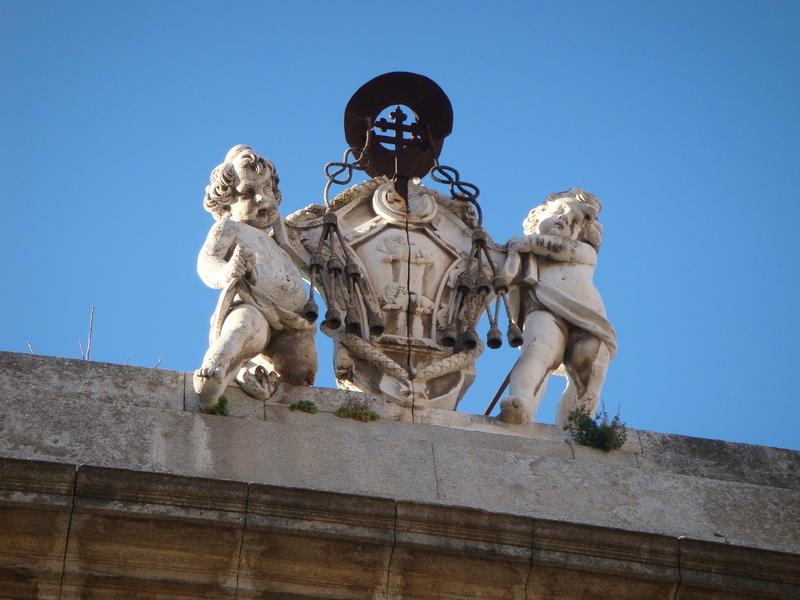 The River Tagus loops around the historical gems of this fortified city and is crowned with gorgeous historic bridges. 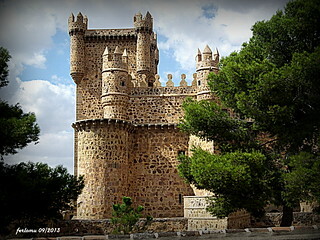 The Alcazar fortress occupies the highest point of the city and was used as a military base and fortress by the Romans, Arabs and Christians. 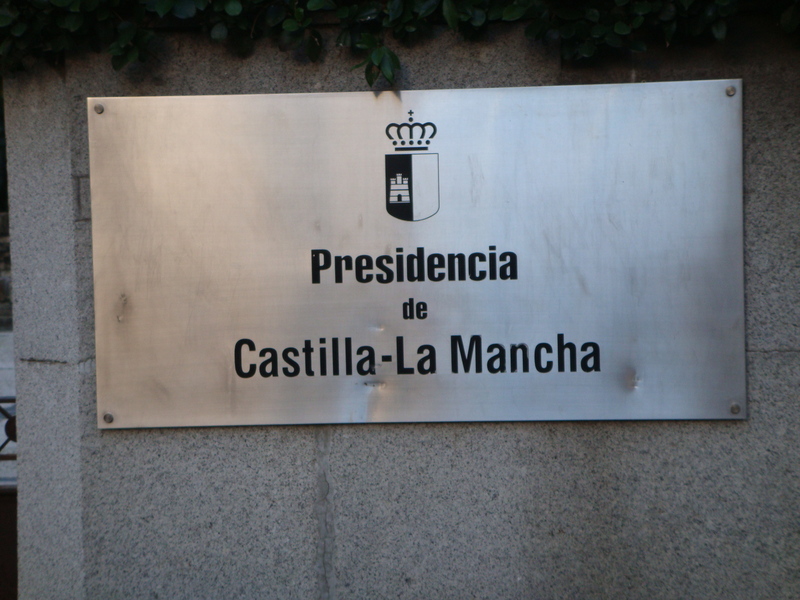 Ultimately, it became the residence of King Alfonso VI and then Carlos V converted the building into a Royal Palace. 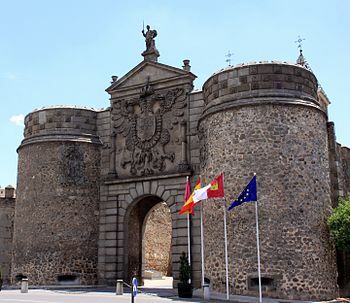 Each facade of the fortress is different and reflects different architectural eras: The east facde is Medieval and the facade on the west is Renaissance. 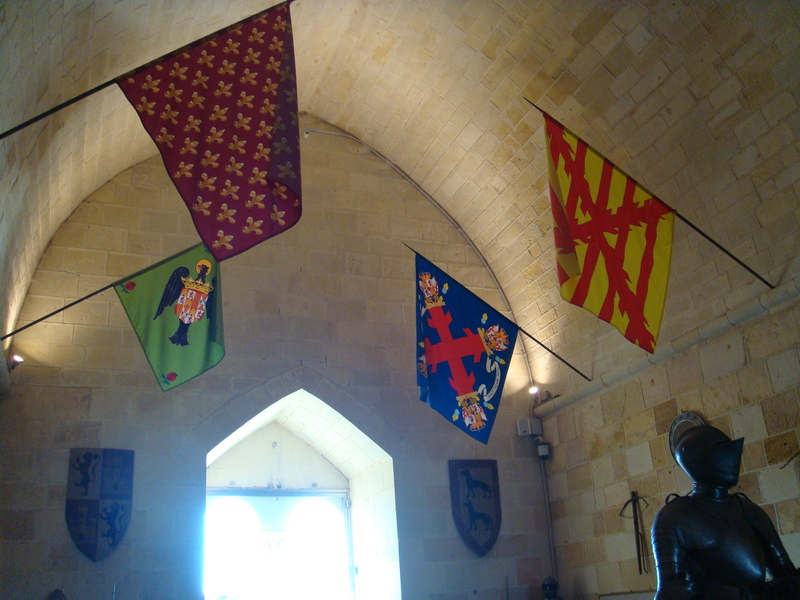 It houses the Army and Military Museum. 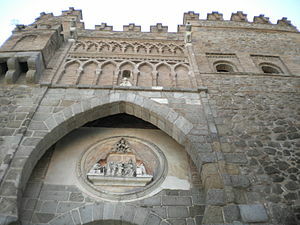 The Primal See in Toledo was using an old Mosque which was reconsecrated as the main church in 1086 by Alfonso VI. 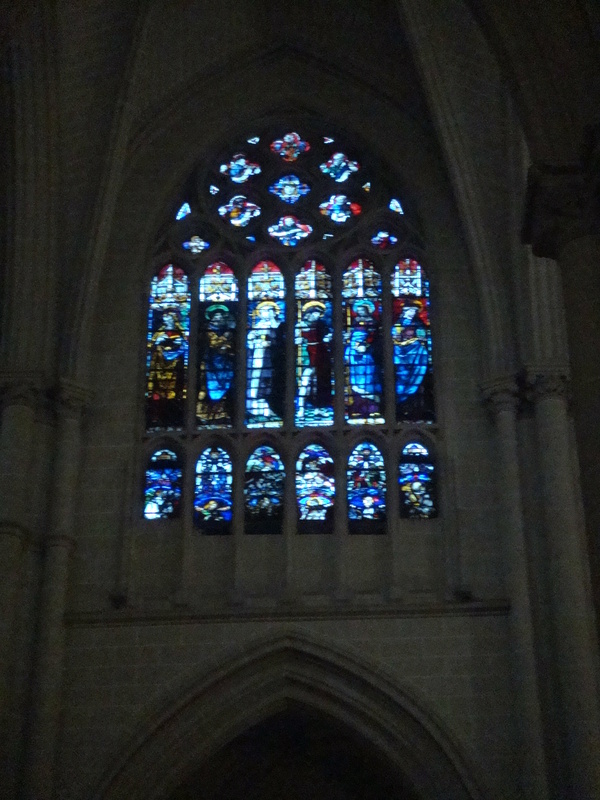 The Primada Cathedral was built between 1226 and 1493 on the site of a VIsigoth church. 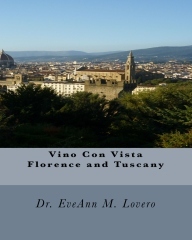 The Gothic Cathedral‘s first stone was ceremoniously laid in 1221. 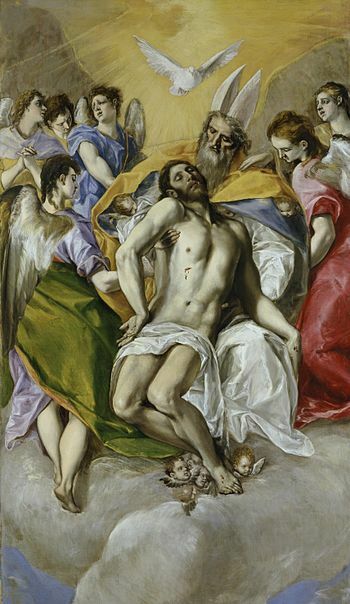 The Cathedral is brimming with art treasures and has a valuable collection of El Greco and Goya masterpieces. 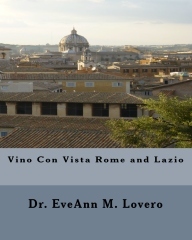 Visit the beautiful chapels and the Renaissance Choir. 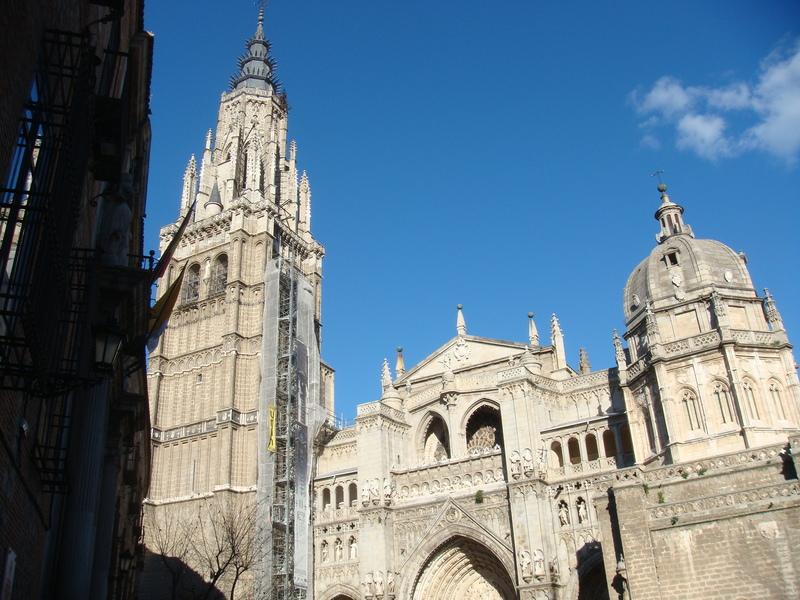 The cathedral that was originally started in the sixth century by San Eugenio, the first Bishop of Toledo, was converted into a mosque that became the main church before the Gothic Cathedral was built. 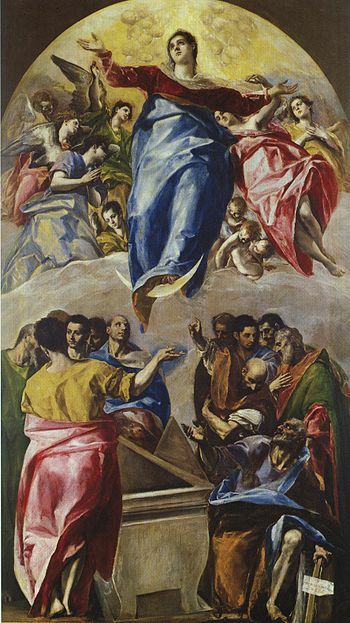 El Greco is one of Spain’s most revered Renaissance artists. 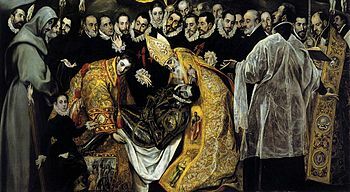 In March of 1586 he obtained the commission for The Burial of the Count of Orgaz. 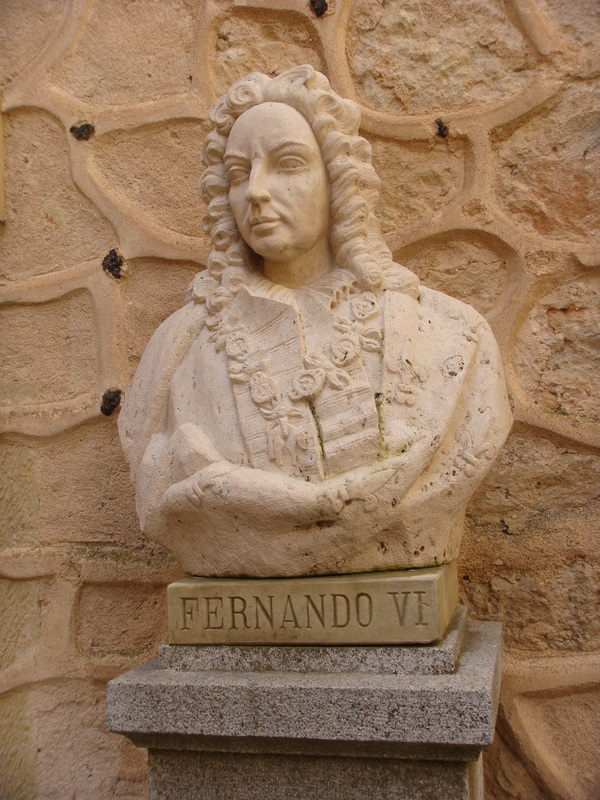 In 2014, the 400th anniversary of his death was celebrated with special exhibitions in Toledo. 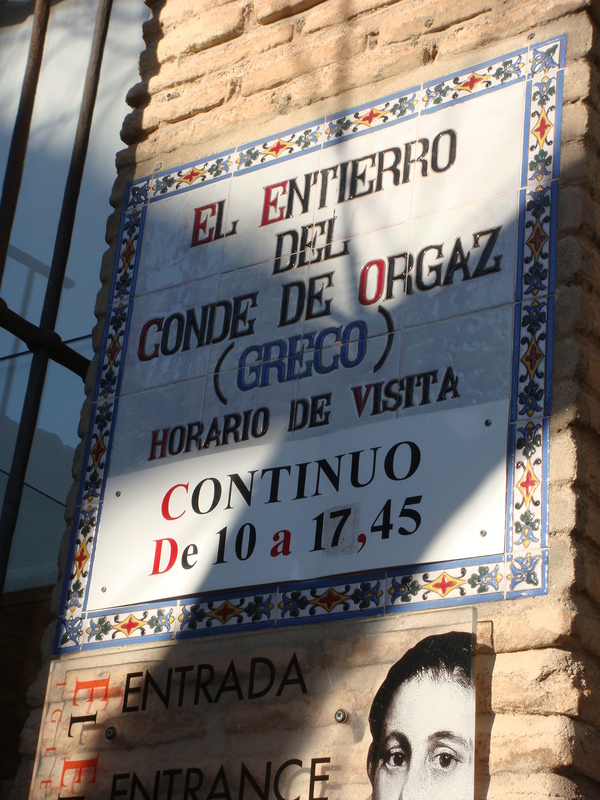 His 1586 masterpiece “El Entierro del Conde de Orgaz” (translates into the Burial of the Count of Orgaz) is located at the foot of the church of Santo Tome. The painting portrays Saint Augustine and Saint Steven in elegant golden vestments. 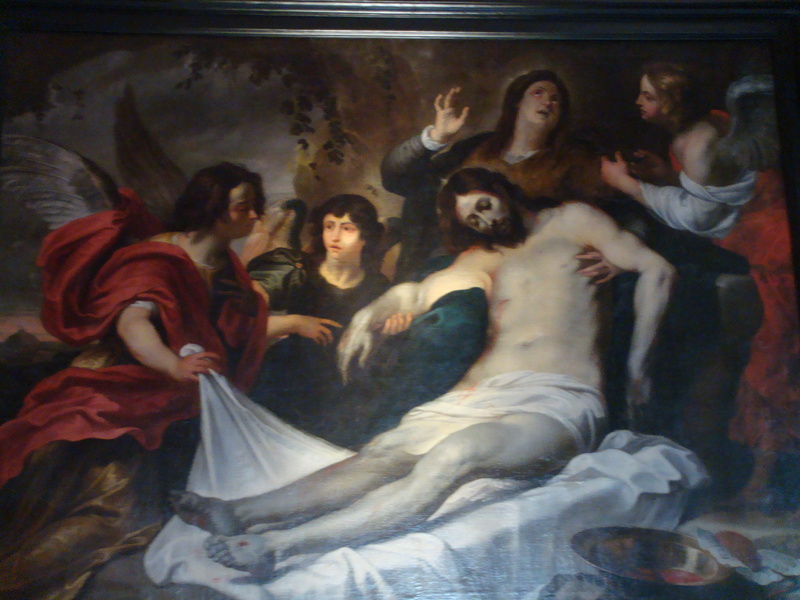 They are preparing to carry his life-less body to his tomb. 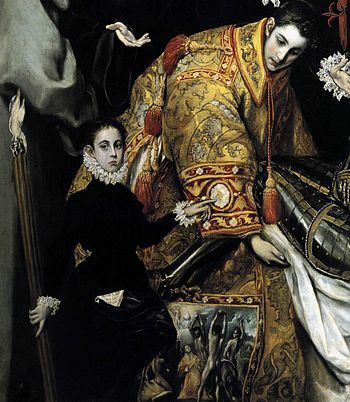 The young boy holding the torch on the bottom left of the painting is El Greco’s son. 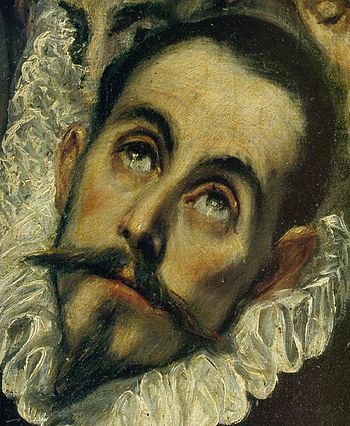 The bearded gentleman directly above Saint Stephen is a self-portrait of El Greco. 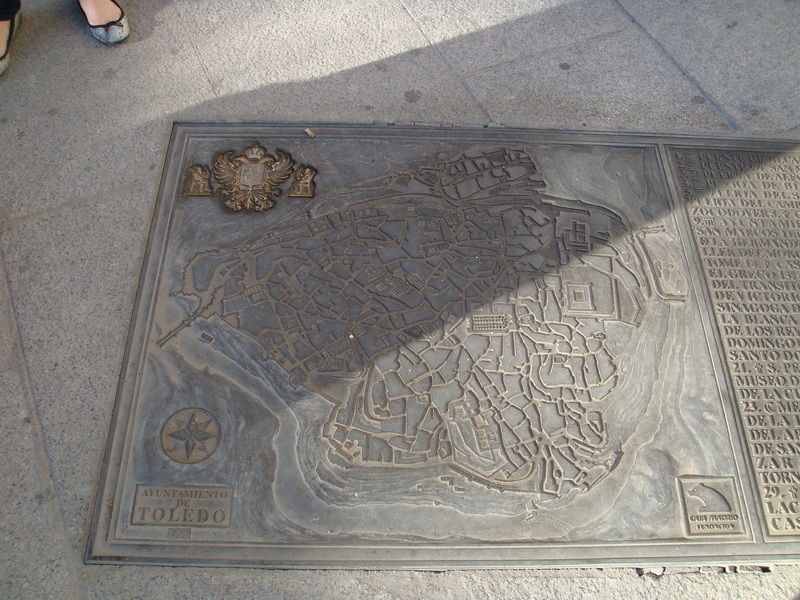 Toledo was the temporary seat of Emperor Charles V. He endowed the city with the status of an imperial, crowned city. The fervor and devotion of Holy Week traditions of Semana Santa de Toledo are reminicient of 16th century Spanish traditions. Processions with residents dressed in hooded costumes signify the death and mourning of Jesus Christ. These solemn processions throughout the town during Holy Week, tell the story of the Passion and resurrection of Christ http://www.youtube.com/watch?v=d4FCEnOPlng. Semana Santa is a very special time in Spain http://www.youtube.com/watch?v=1yOHWjOBYJY&feature=related. 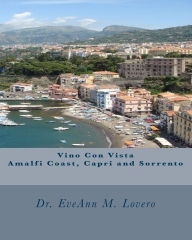 Happy Easter from your Travel Buddies @ www.vino-con-vista.com.